Continuing with my citrus candying adventures, I tried my hand at whole lemon slices. I don’t have a mandolin, which is what’s recommended to make these since the slices need to be almost paper-thin, so I used my sharpest knife and sliced them by hand. I got about 50% of the lemons sliced adequately without them falling apart or being too uneven. Good thing I have a plethora of lemons to use. Candying the whole slice is similar to candying the peel, except you quickly blanch the slices, and then simmer them in simple syrup for a lot longer. I pretty much followed Martha’s recipe. 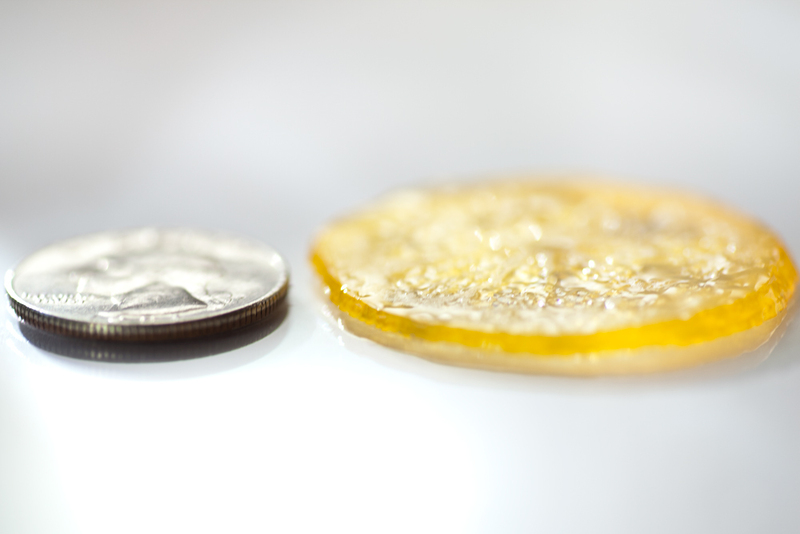 After they dried overnight, I coated half the slices in sugar, which is reminiscent of those Sunkist fruit gem candies that I love, although these are much thinner (and of course these are real fruit slices!). I stored them in a glass jar with extra loose granulated sugar in there to make sure they are always coated. The other half that didn’t get the extra sugar coating were stored in another air-tight container. Since they remain totally sticky, so I had to layer the slices between sheets of waxed paper so they wouldn’t stick together. They are messy to handle, but I think they would be really cute as cupcake toppers. Hopefully I’ll get the motivation to bake some soon. See how thin they are? If they get stuck together, the slices get ripped apart due to their delicate, but so delicious, nature. 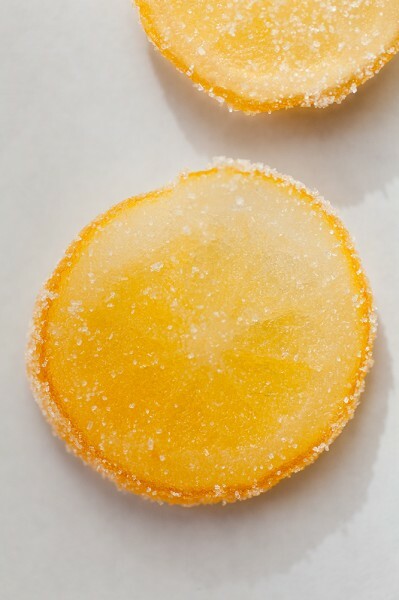 I prefer the sugar-coated slices in terms of taste and texture, but I love the translucent, stained-glass look of the plain candied slices. 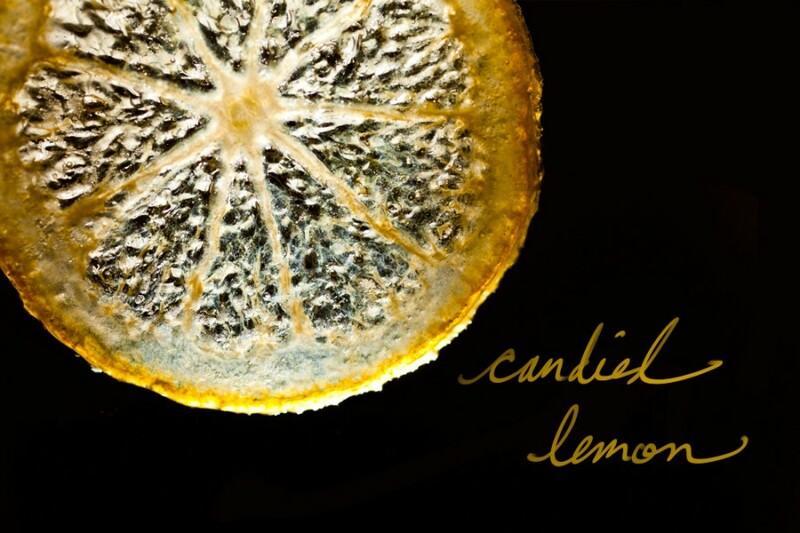 Have you candied whole slices before? Do you like them more than just the peels? 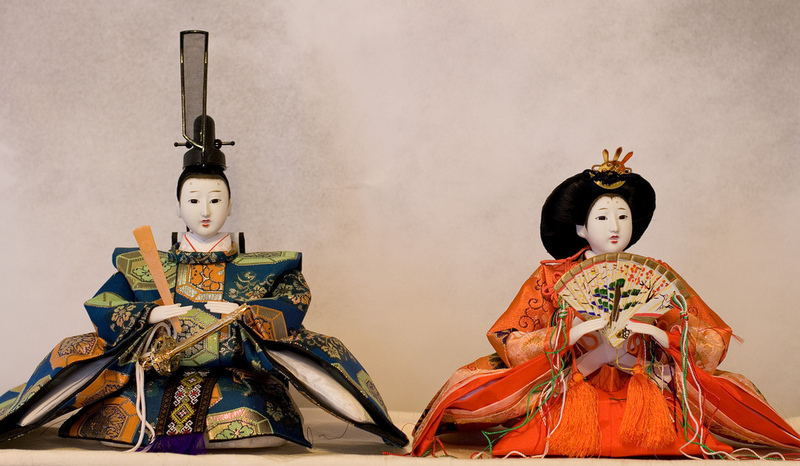 On March 3rd, girls in Japan celebrate Hinamatsuri, or festival of dolls, also known simply as Girls’ Day. It’s celebrated by displaying special dolls of the Heian court. My mom gave me a lovely Empress and Emperor, and I put them out every Girls Day (um, except last year when I completely forgot!). My daughter loves to play with the tiny accessories, especially the sword. Me too. 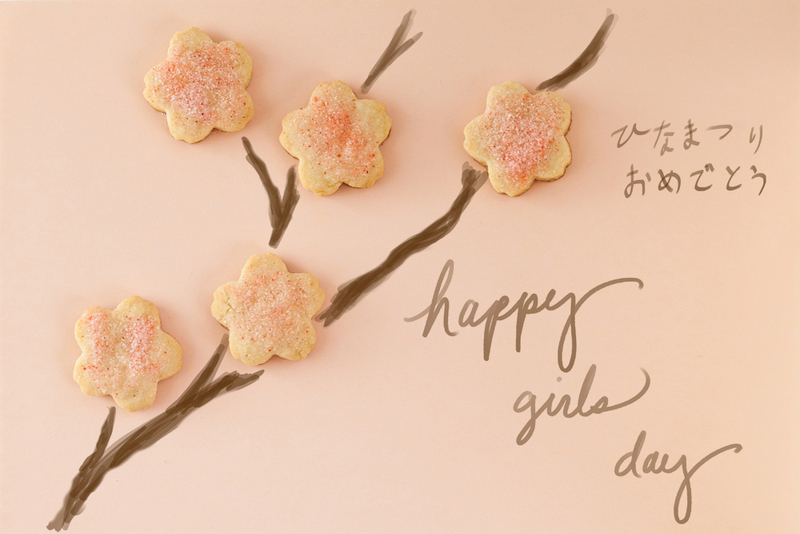 Japanese treats are usually eaten on this day, with themes of pink and sakura (cherry blossom). 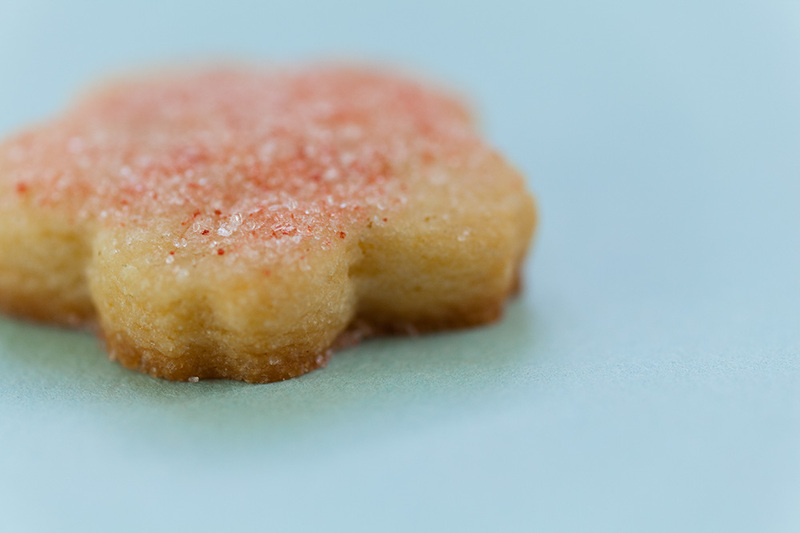 I decided to make sugar cookies using this recipe from Martha Stewart. I found a cherry blossom cookie cutter from Daiso, a Japanese dollar-store that’s in town, and used it to make the flower shapes. 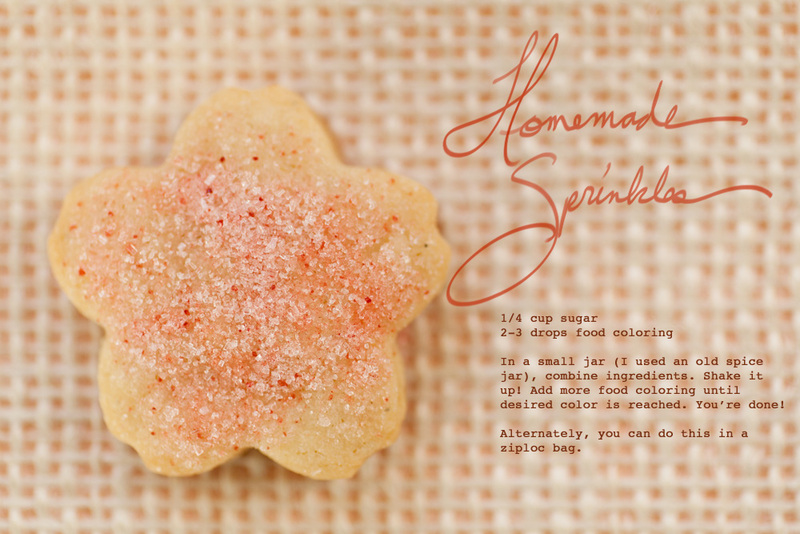 I didn’t have any pink sprinkles on hand, so I made some. It’s pretty simple. And not to worry, Boys’ Day is still coming up on May 5th. It’s celebrated by flying koi-shaped kites. Who knows, maybe I’ll even have a kite to fly that day!